January 12 – State lawmakers will be eyeing issues such expanding gambling and legalizing marijuana for recreational use by adults beginning later this month. The new class of Illinois legislators gaveled in and out Thursday in Springfield without much action. They’re scheduled back the last week of January for a marathon session with days scheduled every week until spring break the last two weeks of April. When they come back, state Rep. Kelly Cassidy (D-Chicago) said they’ll likely get cracking on how to go about legalizing cannabis for recreational use. While some see it as a cash grab for the state’s troubled coffers, Cassidy said her main focus is to right some wrongs, reverse undue harms and to acknowledge that prohibition doesn’t work. Cassidy also responded to law enforcement groups that have said their main goal is to keep legal weed out of children’s hands. She said there’s a lot of moving parts to the issue and there’s still more work to do before a final package is revealed. That includes who can be eligible to get involved in the legal marketplace, if consumers can grow their own at home, and how much the tax rates should be. Some estimates project legal weed will bring in up to $700 million a year. That’s less than a tenth of state’s $9.2 billion annual pension payment. Cassidy said Illinois’ medical marijuana program is a model for other states and will add to the effectiveness of regulating it for recreational use. Expanding gambling will be another priority that lawmakers will roll the dice on when they come later this month. 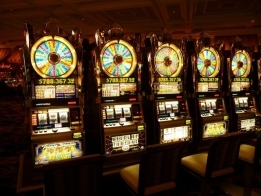 State Rep. Bob Rita (D-Blue Island) said they plan to build upon what’s already been discussed, but a lot of it is tentative, like new casinos, expanding slot machines and more. As to how much will be brought in and where that money goes, Rita said those issues have yet to be worked out. Some estimates suggest about $680 million a year in revenue for the state. Gov.-elect J.B. Pritzker has said he’d sign off on both a measure to legalize cannabis for adult use and to expand gambling.